This week we published a study in PNAS reporting the first comprehensive budget analysis of the protected areas in Africa where lions live. The study, which examined 282 national parks and reserves across 23 African countries, shows that the vast majority or parks – about 90 percent — are significantly underfunded. An investment of at least $1 billion dollars annually is needed to manage these areas. Our estimates are important because they will help governments and donors more realistically estimate the amount needed to conservation lions and their ecosystems. This week, thousands of scientists united to declare grave concern over the negative impacts of the U.S.-Mexico border wall on biodiversity. Defenders of Wildlife scientist Dr. Rob Peters and I led an article coauthored with 16 esteemed coauthors, including Dr. E. O. Wilson, Paul Ehrlich, Rodolfo Dirzo and Gerardo Ceballos, summarizing the scientific evidence that the wall will cause irreparable impacts on wildlife. Consensus is rare in science, yet the impending harm of a 2,000-mile barrier on wildlife is so assured that more than 2,700 scientists from 43 countries endorsed our article in a global call for U.S. political leaders to reconsider the Trump administration’s “big, beautiful wall.” The article was published this week in the journal BioScience and covered by news outlets like the The Washington Post, The Hill and Huffington Post. We have been overwhelmed by the support from scientists, the public and the press, and we are immensely grateful to those who have joined us in our message. To join as a signatory and endorse the article, visit our website. East from San Luis Río Colorado, a sand verbena grows in Mexico on a pile of sand that has spilled from the United States from a small hole in an otherwise solid and impenetrable wall for most species. Check out the full commentary article in India's Economic and Political Weekly or for free in this downloadable PDF. This week the Niassa Carnivore Project (NCP) in collaboration with Panthera published the first scientific evidence that the use of age restrictions can increase the selectivity of sport hunting and lower trophy offtakes to reduce the possibility of unsustainable sport hunting negatively impacting species populations in the absence of reliable estimates of population size. than the 6-year minimum trophy age recommended for sustainable hunting and penalises operators that hunt ‘underage’ lions (<4 years). 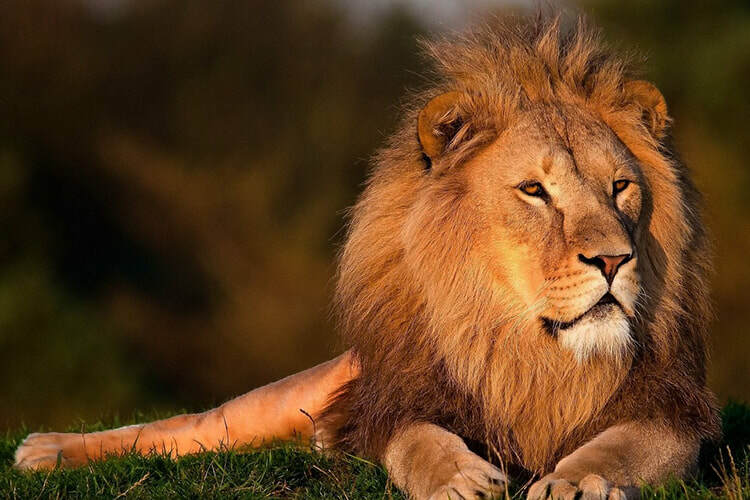 Analysis of 138 lion hunts and 87 lion trophies from 2003-2015 revealed that after enforcement of age restrictions in 2006, hunters shifted harvests to suitably aged lions (>6 years), from 25% of offtakes in 2004 to 100% by 2014. Successful implementation of this management system is due to: 1) committed, consistent enforcement by management authorities, 2) genuine involvement of all stakeholders from the start, 3) annual auditing by an independent third party, 4) the reliable, transparent, straight-forward aging process, and 5) the simple, pragmatic points system for incentivising hunter compliance. Read the full article (free download) in Journal of Applied Ecology. Fig 1. 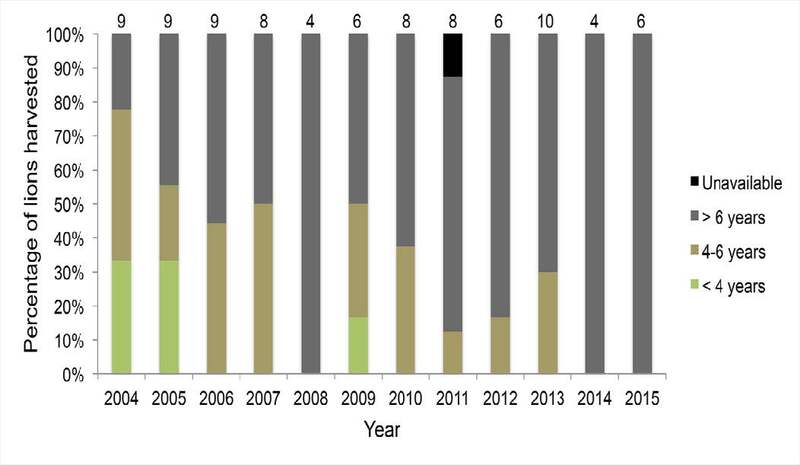 Percentage of lion trophies in each age category from 2004-2015 in Niassa National Reserve, Mozambique. Numbers above bars indicate the number of lions harvested each year. I've been part of an exciting collaboration with colleagues at Yale and UC Berkeley to create a new framework for predicting how predators and prey will interact across space based on characteristics like hunting mode and space use. Our new paper in Ecology (free download here) discusses how the concept of the habitat domain can be used to consider spatial context when predicting spatial interactions. This conceptual theory can be used to predict how different spatial relations of predators and prey could lead to different emergent multiple predator-prey interactions such as whether predator consumptive or non-consumptive effects should dominate, and whether intraguild predation, predator interference or predator complementarity are expected. 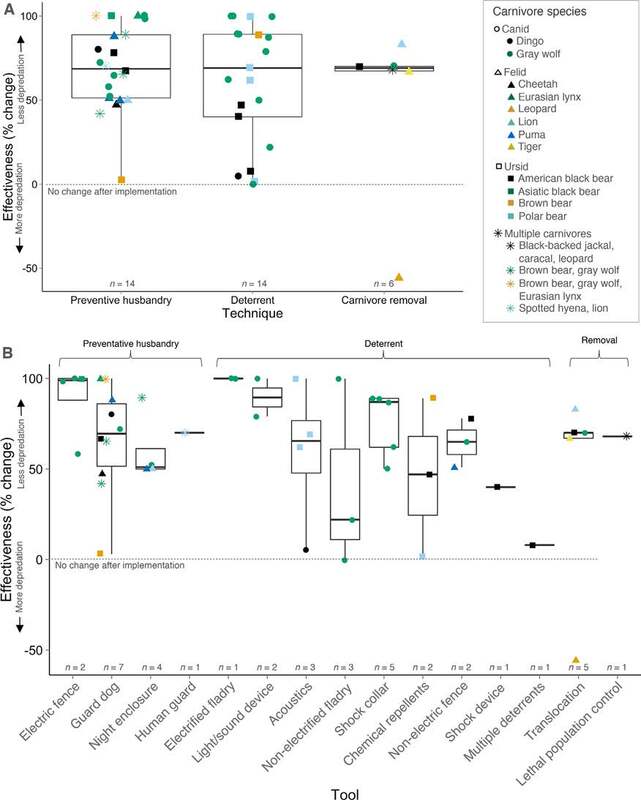 We elaborate on how modern technology and statistical approaches for animal movement analysis could be used to test the conceptual theory, using experimental or quasi-experimental analyses at landscape scales. Our hope is that this new framework will encourage more research to empirically test whether such characteristics can be used to anticipate how predators and prey will interact, to inform management and conservation. Fig 4. 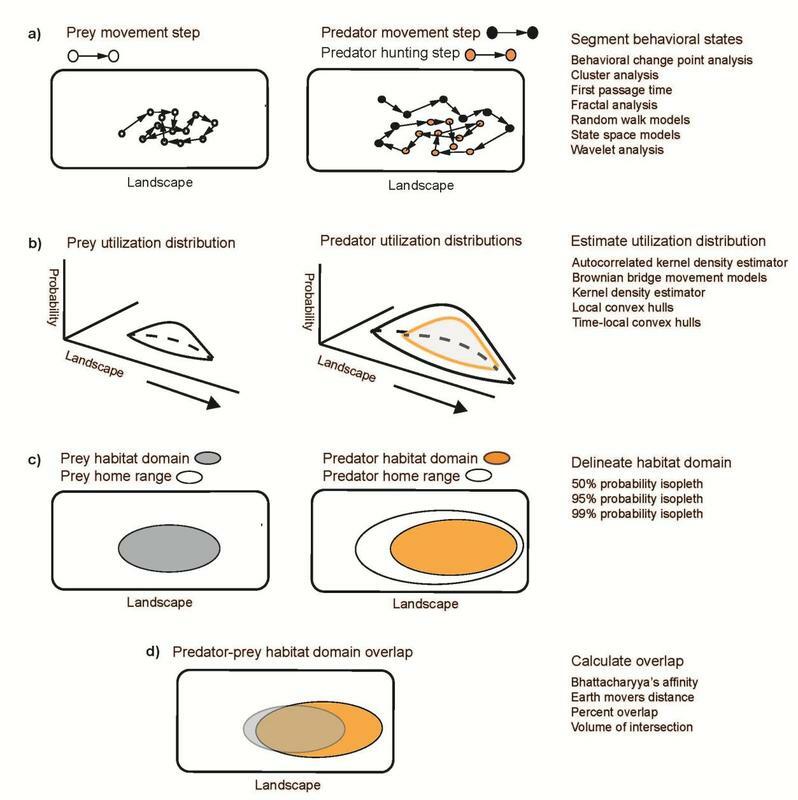 Steps for quantifying habitat domains of prey (left) and predators (center), and associated methods. 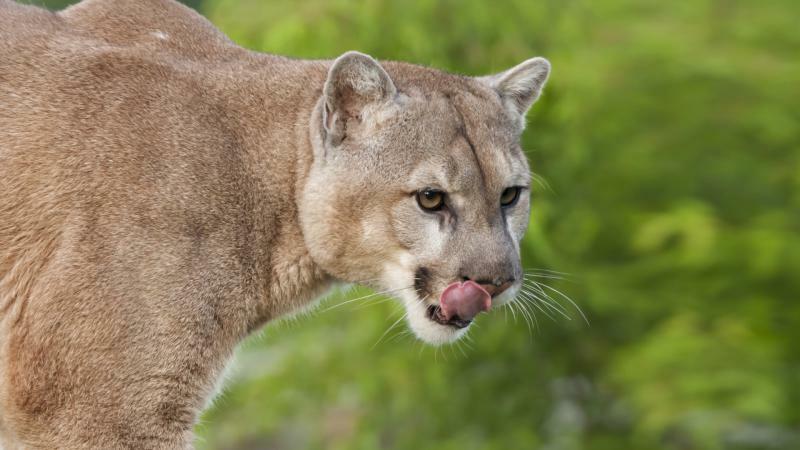 How well do people understand carnivore threats? The article, entitled "Human Perceptions Mirror Realities of Carnivore Attack Risk for Livestock: Implications for Mitigating Human-Carnivore Conflict", compares the realities of where tigers and leopards attack livestock to how people perceive attacks on the landscape. Spoiler alert: people are really good at predicting where carnivores might attack livestock! But then why do attacks still occur? Read the article to find out! Fig 2. 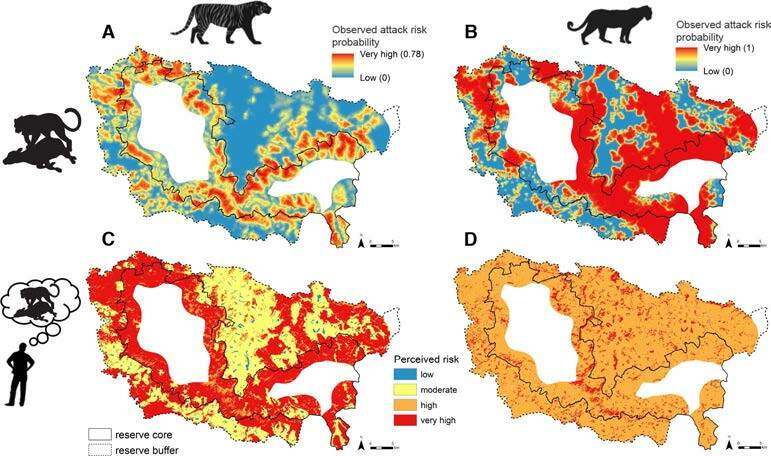 Maps showing model predictions of observed attack risk (top, A and B) and livestock owners’ perceptions of attack risk (bottom, C and D) for tiger (left, A and C) and leopard (right, B and D) on livestock.